Gifts from the Pirates: "A great city is not to be confounded with a populous one." "A great city is not to be confounded with a populous one." 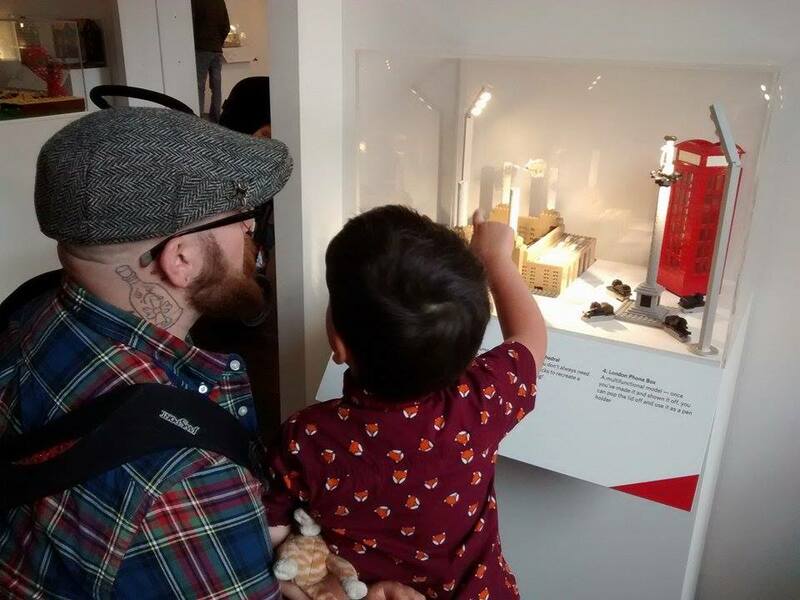 A few weeks a go my friend Leyla over at This day i love contacted me to let me know about the Brick City exhibition touring the country at the moment and thought it would be nice for us all to meet up in a few months as despite chatting all the time we've never actually met. I'm still hoping to meet if we can arrange it but I've been a little naughty and after we had finished chatting that night I looked on the website and realised that the exhibition was also on not far from where we live and its on now. Well whats a LEGO enthusiast to do? yeah you guessed it, no patience at all (Sorry Leyla). I picked up a copy of Warren Elsmore's Brick City quite some time ago and it has been a great source of inspiration for past builds. 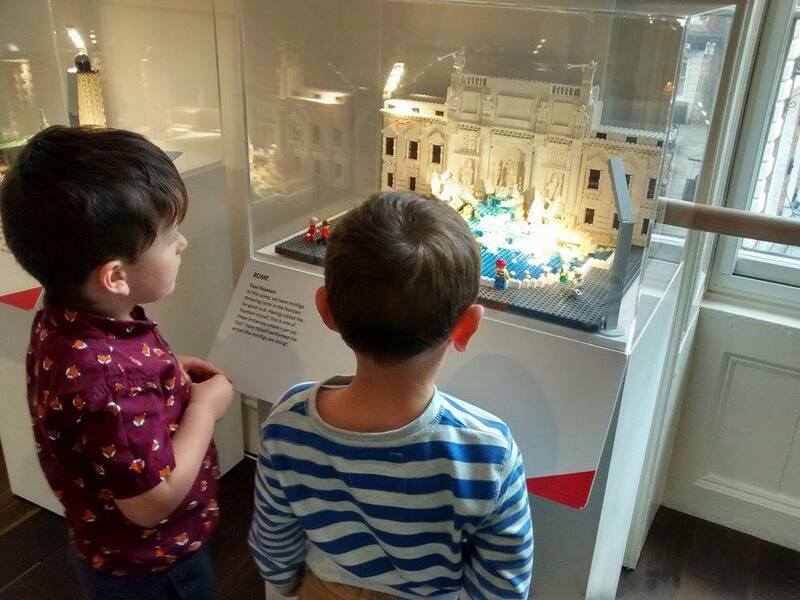 The boys love flicking through it for ideas for detail on buildings they are creating, so being able to see the creations for ourselves was quite exciting. Like some sort of blogging jezebel I arranged to go to the event with our friend Emma and Matthew. Emma is also a new blogger and writes about her reading journey with Matthew over at Another Last Story. I know I am biased as she's my friend but the blog is a really great read and I'm looking forward to more posts. It's great to have a local blogging buddy as while the boys are playing, we can talk shop. So we made plans to meet up for an afternoon of play, learning and entertainment with LEGO thrown in to the mix. Emma's crazy humour is always entertaining and she really makes me laugh. Before entering the museum though, me and Opeie presented Matthew and Emma with minifigure versions of themselves which we had made that morning, if you are going to be a LEGO fan you need a scaled down brick version of yourself, its the done thing. Opeie and Matthew as expected were very excited by a room full of LEGO creations and as I tried to control my own excitement it was great to have another grown up to talk to (I use the term grown up loosely). 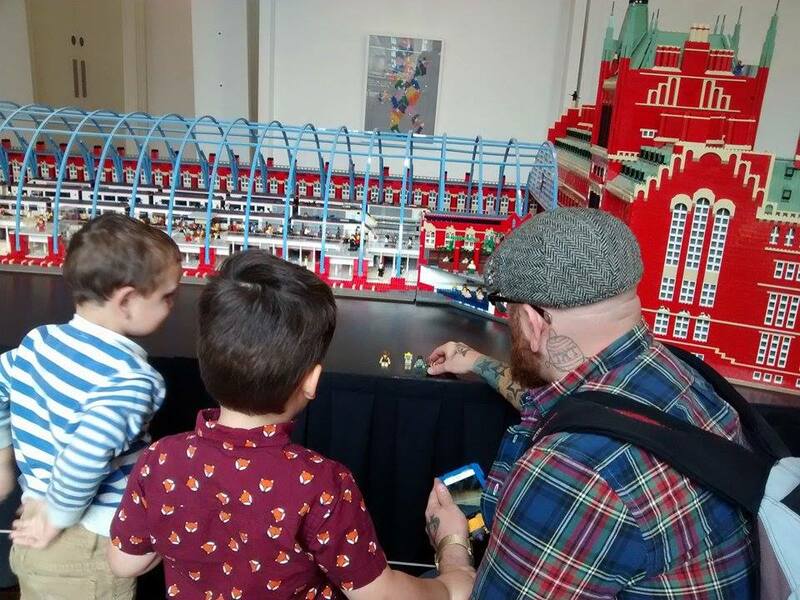 If you are not familiar with Warrens work, he is fantastic at capturing iconic buildings on a very small scale, amazing events such as Rio carnival and the royal wedding and popular landmarks that you will know as soon as you lay your eyes on those amazing bricks. The building I was looking forward to seeing the most was London's St Pancras station. It looks huge in the book but that really doesn't prepare you for the scale of this amazing build. I loved how Warren uses random minifigures throughout a lot of his builds and me and Opeie being super nerds had loads of fun pointing out torso's and faces of figures that we own and are currently residing in creations we have built ourselves. The exhibition had me making a mental list of all the parts we are missing and need to be ordering, the afternoon doubled up as a nice bit of window shopping. The exhibition was great but I think that the boys didn't quite get past the words that came out the member of staffs mouth when we walked in. 'the Brick City event is upstairs and on the floor above that there is lots of LEGO for you to build with'. Clearly their full attention was on the building fun that was going to be happening on the top floor. Despite living not far away we had never been to Shrewsbury Museum before, it really is a beautiful building and it was the perfect back drop for an afternoon of building with two amazing friends. Usually I'd have really got in to the building but as me and Emma chatted the time flew by. The boys we're happy just playing together. It seemed like they didn't really need us there which was actually great as its really lovely for Opeie to have a friend that he can play well with. Effortless play dates like this are the best and really make a huge difference to us parents. There was still the rest of the museum to look around and while the boys did what children do best and bombarded us with a barrage of questions, Emma filled me in on attractions in the Shropshire area that have cafe's, it's all about the cafe's. It was an awesome afternoon with great friends, LEGO being thrown in to the equation was just a Brucie bonus.